In 2008 I left my well-paid job as a fashion buyer with a mission to do something about the decline in UK manufacturing. I reflect on my former career and how far I’ve come in the last few years. In 2008 I had what many would consider a dream job. In one year I had travelled to Hong Kong, China, India, Brazil, San Tropez and Los Angeles developing products for the large high street retailer that I worked for. I had a three year old daughter that I never saw, a team that kept leaving because they weren’t paid enough, and an unsupportive boss who refused my request to reduce my hours to a nine day fortnight. What’s more I was told to drop the last of my ‘local’ suppliers ( a swimwear supplier in Portugal) because their cost prices were higher than those from China. To top it all off my mum passed away that year too. Life was suddenly looking very short…and I knew that I didn’t want to be beholden to someone else’s strategy any more. I wanted to spend more time with my family. I also had this inkling at the back of my mind that local manufacturing was going to come back again, and I wanted to be at the forefront of it. I hadn’t decided HOW I was going to save UK manufacturing, but I had three months notice in which to hatch a plan. So I walked into my boss’s office and handed my notice in…and I’ve never looked back! It took me 3 years to get Make it British off the ground. In that time I had another baby (an unplanned surprise! ), got myself a masters degree (one can never stop learning) and nearly started a handbag brand with a crazy American lady I met on the internet (that was a close call). In that time I was researching and visiting UK factories and going through several ideas for how I could make some sort of business out of what I was discovering. At one point the idea was to set up an Amazon-style marketplace for British-made goods. But I soon realised that I was going to have to sink my life savings into getting that one off the ground (this was in the days before you could buy the software to build such a platform off the shelf). So instead I launched a little blog called ‘Make it British’ and started to write about all of the great brands and UK manufacturers that I was discovering. By January 2013 I was appearing on the BBC talking about buying British. In June 2014 I had launched a trade show so that UK fashion and textile manufacturers could meet buyers and designers wanting to make in Britain again. In May 2017 that same trade show welcomed 5,000 visitors through the door. Now not a week goes by that I don’t get a UK manufacturer or British-made brand thanking me for the support that we give their businesses. Could I have predicted all of this when I decided to leave my job at the end of 2008? No. Am I making as much money as I was in my previous career? Definitely not! I get to spend more time with my kids and doing the things that I love, and life is so much more rewarding. So my advice to you if you’re thinking of a career change is just got for it!! Especially if it’s something to do with making in the UK. In fact, if it involves making in the UK, we can definitely help you. At the beginning of next year we’ll be announcing lots of new resources that we’re working on which will help you to launch a British-made brand. If you’d like to be kept in the loop please click here. What a great story and so inspiring! I’ve worked hard to keep as much of what I produce to be British manufactured. Even if it means missing out on sales because of being undercut. Your journey proves it is worth the effort to keep pressing ahead. Huge well done for taking the plunge! 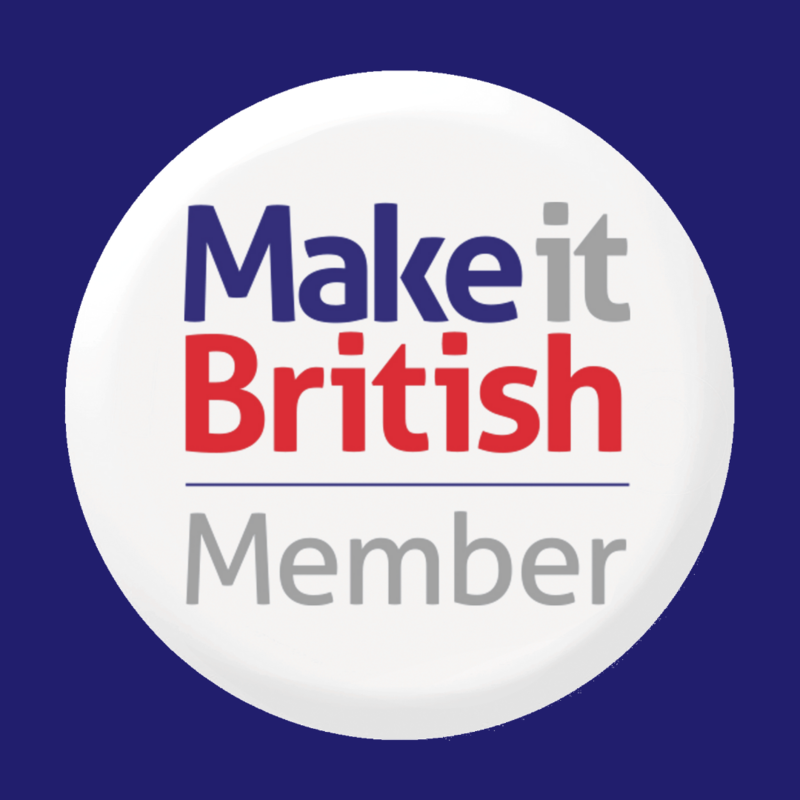 We have had so many sales from Make It British since joining 3 months ago, it has been amazing for us to have you out there supporting us! I love to hear stories like this Piers – thanks so much for your comment. That’s amazing! Still think we need a go to website where you can purchase British made products – definite gap in the market there. Would love to be involved if you ever went down that that road. 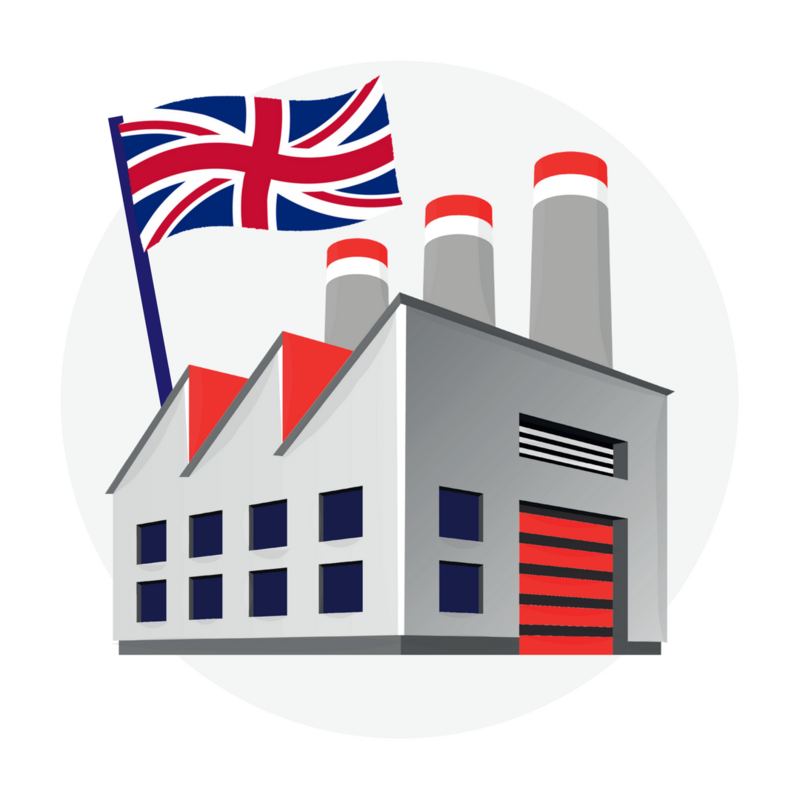 There are a few people that have tried launching platforms selling British-made products but no one has had the financial backing behind them in order to gain any traction. I need a big investor to get such a project off the ground – know of anyone? Sometimes it is hard to keep believing and going especially when you keep coming up against knock backs when you are trying so hard to push forward! Keep going Marina – it’ll all be worth it in the end! 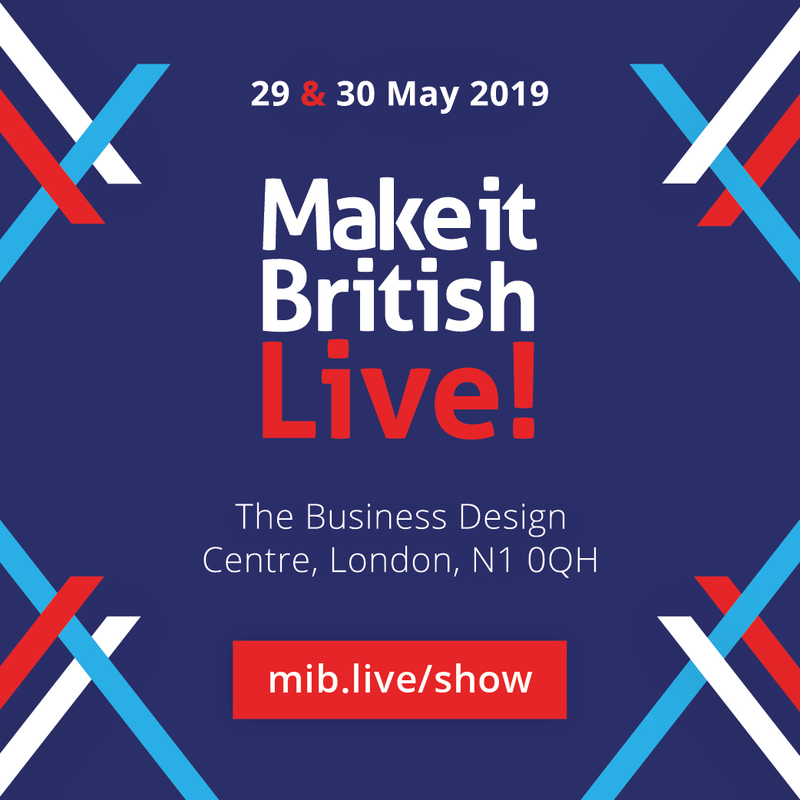 Great call on the Make it British and especially with the U.K coming out of Europe there could well be some mileage with British brands and products. Way to go, I’m just starting on with a niche brand with windproofgazebos.com but at some point, I want to focus on starting a business that can benefit from consumers wanting British products post-Brexit. This is a beautiful story and very courageous of you to make that step. I am very excited for the future. Thanks for sharing Kate. Kate, you’re one amazing woman! Such a great inspiration and so brilliant that you have really made a difference for British manufacturing. You certainly helped me when I started my brand having also opted out of corporate life. It’s not easy but all the more rewarding to support our local community. Well done and here’s to the next 10 years of MIB! You are doing a fantastic job. We need to get back to making more locally, both for the sake of future generations in providing and sustaining high skill employment and also because making virtually everything on the other side of the world is not environmentally sustainable – and without environmental sustainability there can be no economic sustainability, let alone social social sustainability. Keep up the good work. When and why did the change to making things abroad happen? I can remember Marks and Spencer had printed on their shopping bags that 85% (I think) of their products were made in Britain. Now, virtually all made abroad. Don’t remember their prices coming down, though! Keep up the good work. Thanks for sharing Kate! I did this a little over 3 years ago and absolutely love it! I’m so thankful I can work doing something I’m passionate about and have more time for my family. This is just what I needed to hear today. Thanks for your inspiring story.